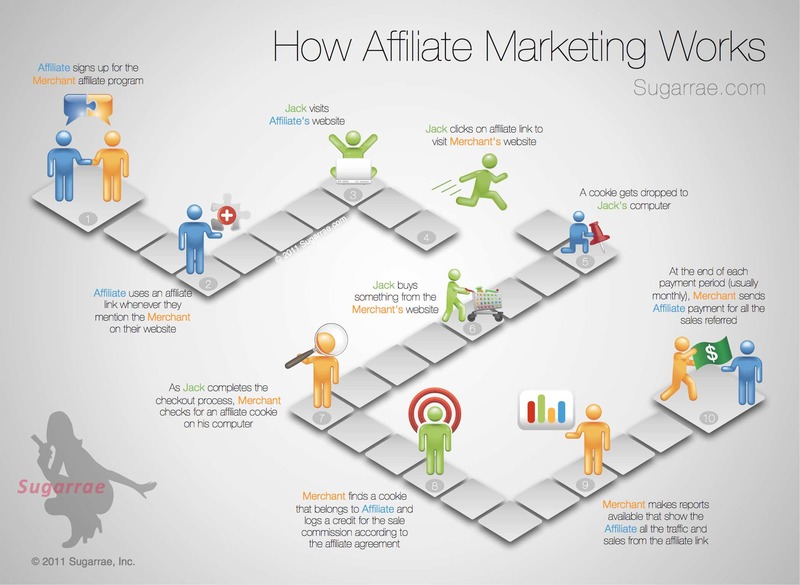 Though this chart looks somewhat complicated, it’s actually pretty straightforward to follow and get a good idea of how affiliate marketing works. Welcome back to another edition of Traffic Tuesday with Three Money Methods. This is Jonathan Kraft and today I want to talk about Article Traffic. This should be a relatively quick video to talk about getting traffic to your site using articles. There are a whole bunch of different article websites out there; there is some article software that you can buy that will help you submit your content out to a lot of different sites. So I’m not going to go into this topic really in-depth, but I want to show you just really quick some results I’ve been able to get from submitting articles at Ezine Articles and then offer you a tip about how to get traffic using articles on other people’s websites. What I’m going to do here is go ahead and sign-in to Ezine Articles. I’m now logged into my account here and you can see all kinds of stuff in here, but I’ve got some articles that are currently under review, I have some “problem” articles and then I’ve got a whole bunch of articles in here, couple of draft articles and then a bunch that have been published. I have 120 articles that have been published inside of here and these have been published over the last, I think, 3 years inside of Ezine Articles. If you look at the statistics on the left-hand side here, I’ve had 52,000 “article views;” meaning the articles I’ve posted in here have been read over 52,000 times! It’s pretty exciting; it’s a good start on getting a bunch of articles out there. Over 5,000 almost 6,000 people have viewed my profile. I have over 1,000 published articles inside of here and over 880 people have clicked on my URL links from the articles that I’ve posted. Now that’s not a huge amount in here; but if you think about 880 clicks just by taking the content that I was already writing anyway, sort of re-purposing it a little bit, rewriting it a tiny bit and putting it into my Ezine Articles account. Now, I’ve also got a writer that works for our business, her name is Lisa Carey, and she’s written some articles as well, a lot of articles actually and put them into here; she has access to my Ezine Articles account as well. But I want to show you, here is 880 clicks; I’m going to show you one of the sites that we’ve actually sent traffic to – it’s a site called IdentityTheftSecrets.com. This is the traffic from the last year inside of here; so July 9, 2008 through August 8, 2009. In that time, I have received from referring sites; I’ve received over 11,000 visits. Three hundred and eight of those have been from Ezine Articles. If we go into here, I can see that it’s been two different referral paths, it’s about 2-5 visitors every day and more so recently as we’ve got more articles in there. But it’s about 2-5 visits a day from people coming and checking out things after reading articles inside of Ezine Articles which is pretty neat! It’s pretty exciting that people actually come through to the site and all I’ve had to do is have someone actually go and post that content inside of my Ezine Articles account. Now before I had Lisa working with our business, I actually was going in and posting all this content myself and you may have to do the same thing. But it’s very interesting; the average time on the site is a minute and 33 seconds. I’ve got relatively low bounce-rate actually which means that people are actually viewing more than one page of the site when they come in and they’re staying on the site longer when they actually come having read an article from somewhere else. I also know the average visitor value to this site – I’m not going to go through all that – but the average visitor value to this site more than makes up for the time and the money that I spend on someone actually going and posting these articles inside of Ezine Articles. Again, you’ll probably have to do this yourself when you first get started, but sign up at Ezine Articles and just start posting some articles in there. There’s all sorts of helpful articles about what kind of content you should be putting inside of here; how you should write your articles to get people to come back to your website – you can go Google and find out all that stuff. But definitely sign up for Ezine Articles. I wanted to show you that just to show you that it does work and you do get results from it. The other thing I wanted to talk about is finding websites and blogs you can guest write for. Now you want to go identify – if you’ve already downloaded our marketing, if you’re in the marketing arena, if you’ve already downloaded the RSS feed for all of the different blogs in the marketing arena or in the green arena or the travel arena, you already know about all these blogs that are already publishing content in your arena. You should have a list and you should be following people in your arena, regardless of what it is; if it’s childcare or if it’s being a good parent or if its cell phones, whatever it is, you should have a list of blogs that you follow and comment on regularly. With some of those people, you should have started to build a relationship with and you know which ones bring the best traffic back to your website from your traffic logs inside of Google. Do you need content written for JimSmithWebsite.com? Well, I’m a real person with real writing skills and would like to write an article or two for your website for free. Yes, this is going to take you some time and yes it’s going to take some effort to actually write an article that fits their audience. However, it can result in significant volumes of traffic over time coming back to your website. So I’m going to give you this text right below the video here on the Three Money Methods website, if you’re doing this on YouTube or somewhere else, just come to ThreeMoneyMethods.com and put your name and email in on the website and in exchange, you’ll be getting all kinds of great stuff, but this is one of the things you’ll get and that’s basically it. If you’re not submitting articles out and getting traffic back into your website that way, you should be taking and sending your content out so that people will come back to your website. It’s a great way to get people to come back and view you. We haven’t even gone through submitting articles to magazines or all the different article websites; there’s thousands of article websites. There’s also “article randomizers” so that you write an article and then it takes your content and turns it into like 14 different articles that you can submit out so that you’ve got different content showing up in different places. There’s all kinds of different things you can do once you get started doing this. But the key is to get started! So I’ve shown you two simple ways today to get started getting website traffic using simple article content. I hope that’s helpful for you and we look forward to seeing you back here for another edition of Three Money Methods Traffic Tuesdays. 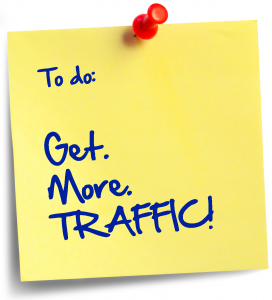 Article traffic is a great way to get traffic to your website!